It has been two weeks since I planted my summer garden. We have had little to no rain in the past two weeks. I have refrained from watering because I want to see if the plants can make it on their own with the thick layer of mulch I’ve laid out. Aside from that, the other plants are doing fine. The squash and the cantaloupe have made the most progress. I’ve noticed a couple of baby eggplants developing, as well. 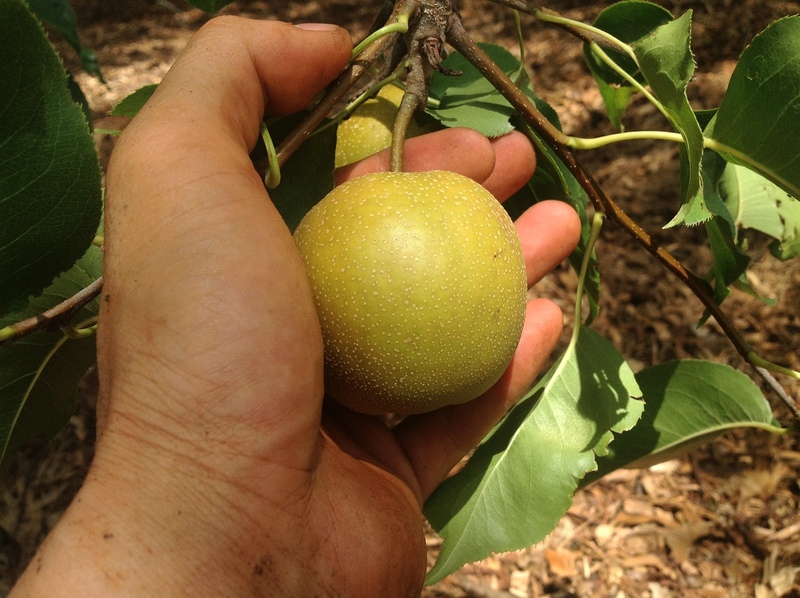 Shinko Asian Pear First Harvest. Yum! Today, I sampled my first Asian pear from the orchard. This pear picked from one of the Shinko Asian pear trees. The pears are about the size of a racquetball now. Not knowing whether the fruits will get bigger, I decided to sample one to see if it was ripe. Not only was the pear ripe, it was the sweetest Asian pear that I have ever tasted. If this is the homegrown difference then I can’t wait til all the trees in the orchard are in full production! I had bought my plum and cherry trees a couple of months ago in somewhat of a panic. Fruit trees were getting increasingly harder to find at Home Depot and Lowe’s had put all their fruit trees on clearance. 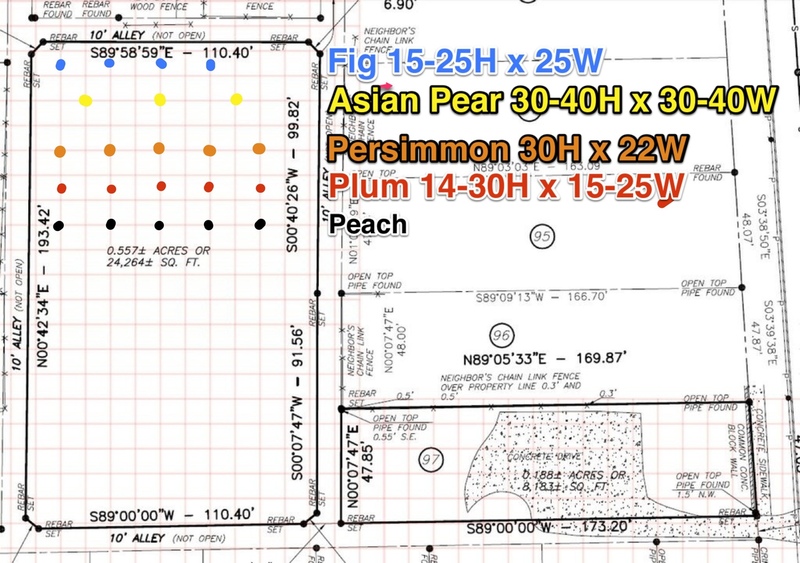 Afraid that I would not be able to find any more fruit trees to plant into the ground at the orchard this year, I bought and planted five plum trees and five cherry trees that Lowe’s had on clearance. While the price was good ($10 each), I was not impressed by their health or size. 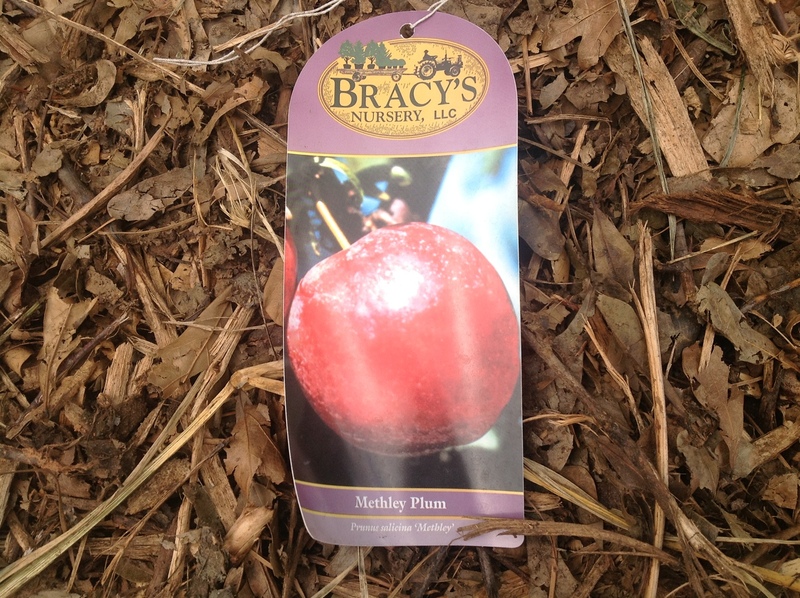 This weekend I came cross a large number of fruit trees at the Home Depot in Dunwoody. Their plum and peach trees were good size and looked healthy. 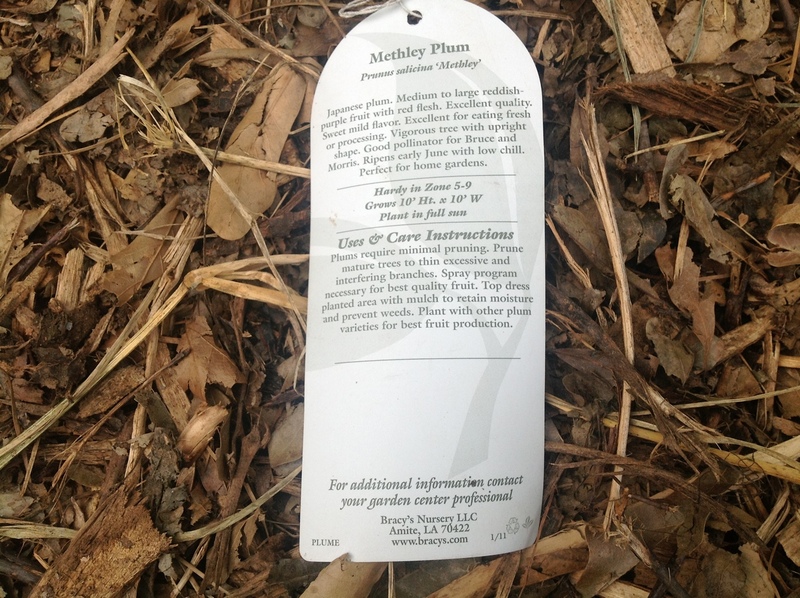 To compare, I also went by Pike’s Nursery and also found some nice plum trees there. 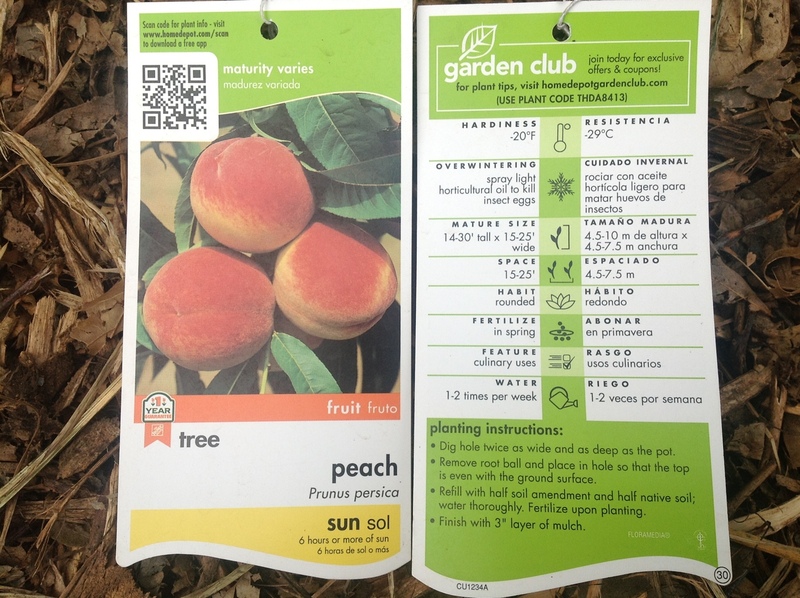 I ended up picking up three Santa Rosa plum trees and five peach trees from Home Depot and two Medley semi-dwarf plum trees from Pike’s Nursery. 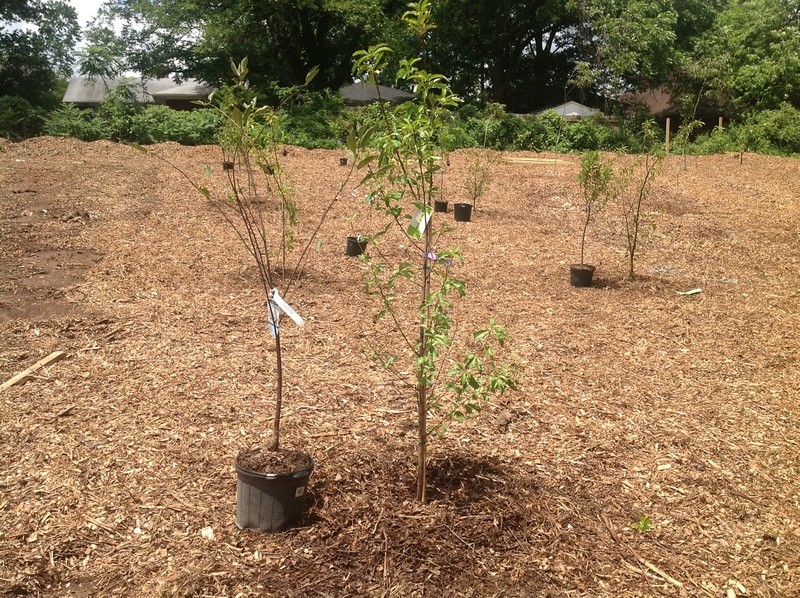 The plum and cherry trees that I bought from Lowe’s were pulled out of the ground, returned to the store, and replaced with the new trees. 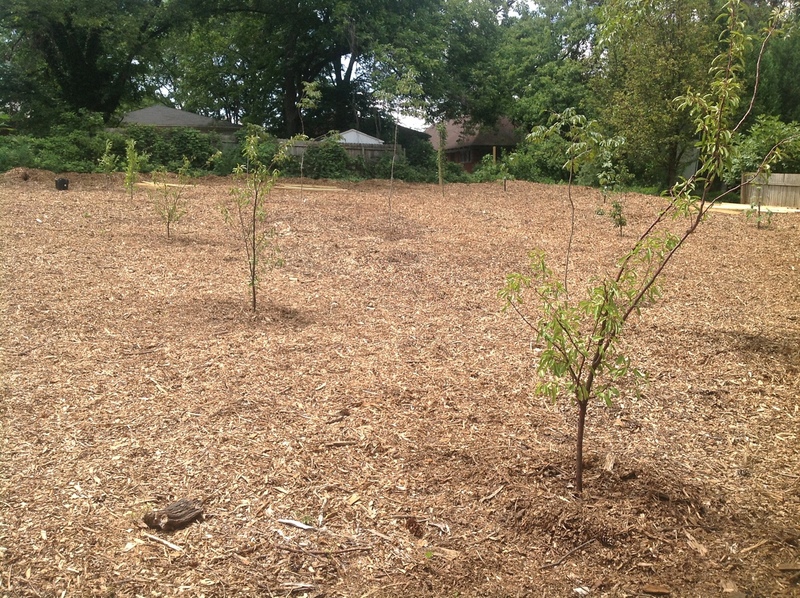 Here’s a comparison of the old plum trees with the new Santa Rosa plum trees. 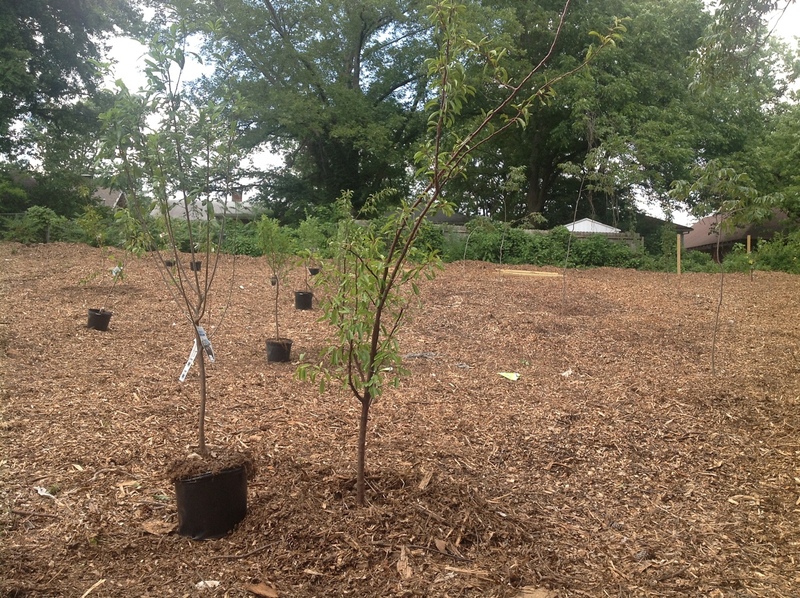 Here’s a comparison of the old cherry trees with the new peach trees. 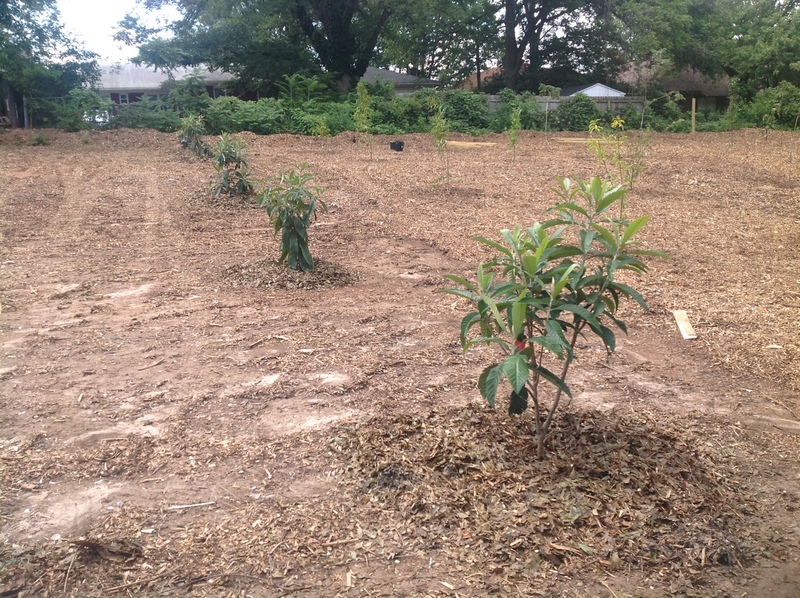 A view of the row of peach trees after planting. 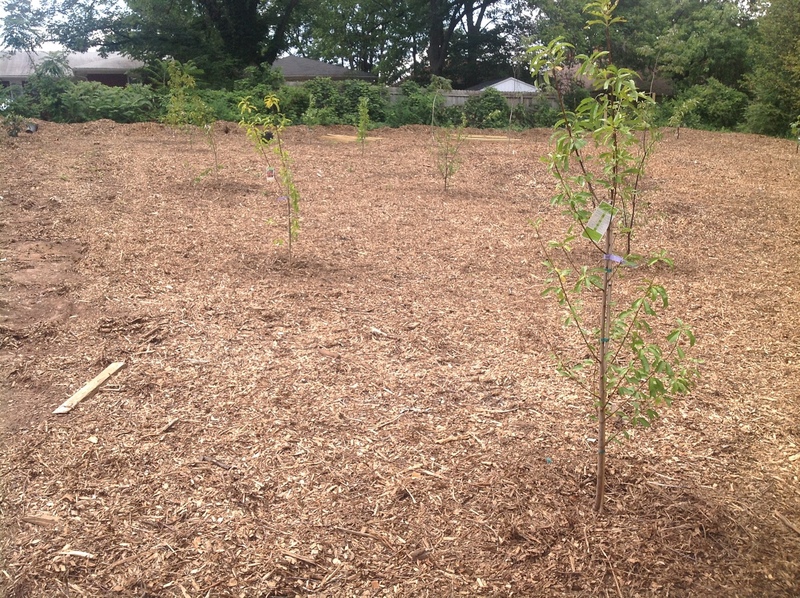 A view of the row of plum trees after planting.